BayBuzz has observed and reported on a wide range of remarkable events, trends, and social and economic developments over the past ten years. Reflecting on that, we challenged ourselves to pick the ten most ‘buzzworthy’ happenings. To assist we asked a number of community leaders and networkers for help. Our question: Would you list up to ten changes, developments or achievements over the past decade that our region should be most proud of or excited about? Replied one: “Over the past 10 years, Hawke’s Bay has ‘grown up’ – we are not just a sleepy rural backwater anymore!” No disagreement there. Their recommendations helped shaped our own ‘BayBuzz Top 10’ selections, but naturally they offered many more as well. Some of those additional suggestions follow ours. Two thirds of New Zealand’s apples (382,000 kg in 2018) are grown in Hawke’s Bay, up from one half in 2008. Such growth is a huge opportunity for the region, but it comes with some hurdles. The export value of our apples has grown steeply, with more potential ahead, but we are limited by the people we’ve got and the number of trees we can plant. 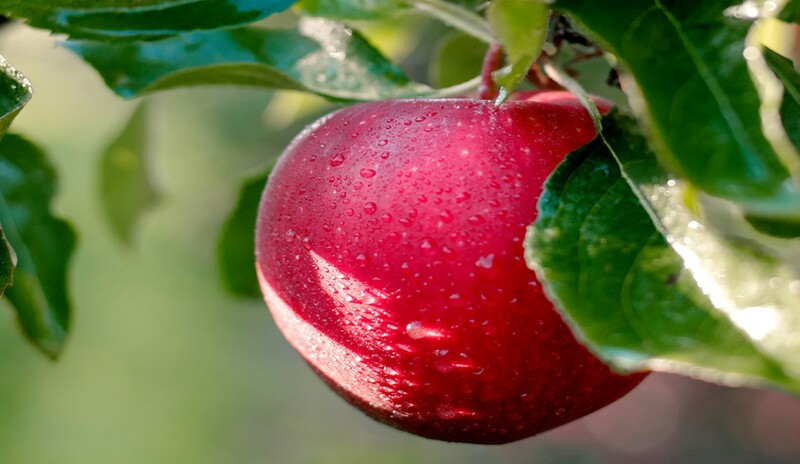 “There’s a million apple trees going into the ground every year in New Zealand, and we are responsible for 66% of them,” says Erin Simpson, capability development manager at Apples and Pears NZ. With that growth comes a need to bolster every level of the industry from pickers to orchard managers. “We’ve got roles, jobs and careers across the whole industry – it’s not just picking-bags and ladders – and we need people to come through to enable us to keep growing,” explains Simpson. 10,000 employed today; another 1,000 needed soon. To make sure the industry has a robust and sustainable future, innovative thinking is going into developing programmes and partnerships. These include working with Massey University on a purpose-built horticulture degree, partnering with the Takitimu Development Group and Ngāti Kahungunu, working with MSD to create opportunities to tap into underutilised human capital. One such programme has already lifted 700 children in Hawke’s Bay out of poverty, just by providing their mothers with 9am-3pm work days. Another innovation in Hawke’s Bay’s cornerstone industry is using waste apples – eliminating waste is seen as key to growing the ‘apple-conomy’. Ross Beaton, who planted his first apple tree in 1982, five years ago made the move away from growing apples to using up, what he calls, the “ugly” fruit. That which is equally nutritious but traditionally goes to waste. His new venture is The Apple Press, which aims to make use of 13,000 tonnes of blemished, ‘unwanted’ fruit a year. “We grow the world’s best apples but we do nothing with the byproducts,” Beaton says. Now, his company, which started small and has grown fast, is using varieties Hawke’s Bay is proudly known for – Jazz and Envy – to make juice. After first making the product available to Hawke’s Bay locals, he is now marketing it globally as a premium, value-added brand. 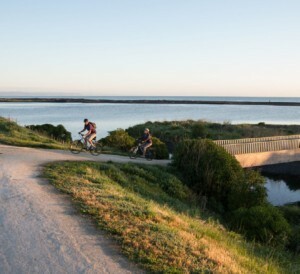 The Napier and Hastings Rotary Clubs deserve credit for inspiring the idea of a connected series of paths in Hawke’s Bay to make it easier for runners, walkers and cyclists to travel through the region. Their vision was seriously boosted seven years ago when Hastings Council used seed money from the NZTA ‘model communities’ fund and began building the iWay, a network of cycle ways that linked together new-built paths with established cycleways. The network now traverses Hawke’s Bay, a change that has tourism, health and wellbeing and transport benefits. The project also ignited here a general passion for cycling in a range of groups and for a range of reasons. From the iWay cycle paths, to the Bikes in Schools programme started in Hastings by Paul McCardle and due to be rolled out to 100 schools nationwide, cycling is a Bay craze that’s here to stay. Cycling for sport and recreation is still a valid pursuit and that too is growing here. Roadbiking through the Tukituki valley, mountain biking at Esk Valley, the BMX track in Havelock, the pump track in Napier, the Ramblers and the little kids learning road rules at the tiny tots practice loops (one at the Sports Park, one at Marine Parade)… it seems bikes are everywhere. Ivan Aplin has been behind the scenes of much of that growth. He now sits on the national governing body Cycling NZ and pulls together the annual BDO Elite cycling race over the Napier Hill in January each year. That event sees international riders, some from the Tour de France, taking on the challenge of an urban environment. Craft brewing has boomed in the last decade with Brave, Zeelandt, Giant, Fat Monk, Roosters, Hawke’s Bay Independent all on the scene. 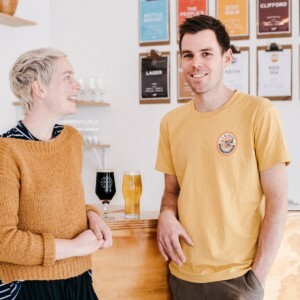 Cider too has begun to blossom with Three Wise Birds, Paynter’s, Edgebrook and now Zeffer – serious operators on a serious scale – which moved here from Auckland last year. Cider makers haven’t been as quick as brewers at putting in tap rooms. But that’ll soon change with Zeffer and Three Wise Birds both launching cellar doors in the next year. Paul Paynter of Paynter’s Cider believes accessing local and visiting punters is only the start of the opportunities for cider in the Bay. With two thirds of NZ’s apples, as well as stone fruit and berries, the right climate, soil and water, talent and technology, we are well positioned to take our place as Cider Capital of New Zealand. Now in its fourth year, Harcourts Hawke’s Bay Arts Festival (run by Arts Inc. Heretaunga), has become a keenly anticipated fixture in the district’s calendar. Over its first three years, the growing Festival has issued over 30,000 tickets (half of those in 2017), increased its school shows, and delivered 168 performances. The $750,000 event is half-funded through ticket sales, with the balance from grants, sponsorships and donations. Creative NZ, Hastings Council and Harcourts have been core funders from inception. Rising in part out of the ashes of the Opera House closure in 2014, it’s hard to imagine our provincial world without the annual appearance of the Spiegeltent. 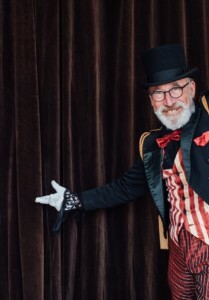 And while the Spiegeltent is the hub, the Festival’s venues have reached out region-wide to include (in 2018) Iona’s Blyth Performing Arts Centre, Napier Muni, MTG’s Century Theatre as well as Waiohiki Creative Arts Village, Theatre Hawke’s Bay, the Cabana, CHB Municipal Theatre and Gaiety Theatre in Wairoa. HBAF is the only regional festival in NZ to commission new work, as part of its agenda to showcase local talent alongside national and international artists. Last year’s performance piece The Contours of Heaven, with its local-rooted stories, went on to win multiple awards at the Auckland Fringe Festival. This year, theatre-maker Puti Lancaster is developing a new, more ambitious body of work, in collaboration with both local and national creatives. With 40+ shows and various arty events over 13 days in October, including a full Readers & Writers programme, HBAF is less a money spinner for the region than a cultural wealth creator. Arts Inc. chair Andy Heast says the ambition is to be the foremost regional festival in the land. No place in Hawke’s Bay has seen more dynamic change than Ahuriri, now one of the go-to destinations for wining and dining, smart business growth and seaside, harbour and estuary recreation. Just two decades ago, the one-time fishing village and port was a neglected manufacturing and warehousing centre with an uncertain future when the Napier Hospital closed and significant employer British American Tobacco (BAT) pulled out in 2006. A refreshed vison began to take shape when Langley Twigg transformed a south-facing West Quay warehouse into office space and David Mackersey built new apartments in the village and redeveloped prominent sites. In 2007, Big Save furniture moved its headquarters to a former BAT warehouse, with owners Ray and Alison McKimm transforming others over the next two years into the Ahuriri Business Park. The decade-old Ahuriri Business Association (ABA) created signage, lobbied to name Ahuriri Beach and for improvements to Customs Quay. It got a pedestrian crossing over the rail onto Bridge St and continues to push for improvements including promoting the area as the gateway to Napier. The village and its immediate environs were bolstered with the arrival of café’s, shops, a gym, and in 2015 the HB Business Hub. Developer Jonathon Wallace accelerated confidence by creating the Bridge St hi-tech hub with key tenants local success stories Xero and NOW. Wallace and Simon Tremain are currently building 16 new villas on the site of the Napier Provedoring Co warehouses. Contract brewer B Studio and Tony Bish’s Urban Winery are new tenants in the old National Tobacco building with another moving into the Art Deco section this summer. Ahuriri champion, Alison McKimm, director of the business park and chairwoman of Customhouse Trust, believes more sites can be developed and sees positive signs for the future, including plans to strengthen Bridge St, develop the Iron Pot and add sculptures and community art around to East Pier. The commercial centre will benefit from Napier City Council’s Ahuriri Estuary and Coastal Edge Management Plan which is reframing the area toward the airport with cycle and walking access to the lagoon and wetlands in harmony with the natural ecology. Coastal protection, developments at Napier Sailing Club and HB Sports Fishing Club and having Pandora Bridge as a key arrival gateway into Ahuriri-Napier are also in the plan, which includes hints of an inland port and a super yacht terminal. There’s an ongoing conversation with Napier Port and NZTA about more conducive transport routes for heavy traffic. 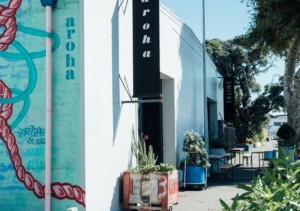 The challenge is how to grow Ahuriri’s lifestyle hub and its thriving waterways and seaside commercial interests alongside the rapidly developing Port with its rumbling heavy transport so essential to the region’s economy. The world’s first private orbital rocket launch site at the tip of Mahia Peninsula has put Hawke’s Bay on the space race radar. After a global search Beck and his team chose Mahia’s Onenui Station in 2015, to launch more satellites more often than anywhere else at a fraction of the cost of competitors, est US$5 million per space shot. The first successful launch of the Electron rocket was Jan 21, 2018, six months after a previous attempt failed to make orbit. The rocket, ‘Still Testing’, carried a payload of four satellites, one to take images of Earth for United States company Planet Labs and the other two capturing weather and ship tracking data for Spire Global. Rocket Lab, a US$ 1 billion company largely owned by aerospace giant Lockheed Martin and Silicon Valley’s Khosla Ventures, “can launch up to 120 times a year from Launch Complex 1, more frequently than the US can launch as an entire country at the moment,” says Beck. The Mahia site is fully booked for the rest of 2018 and most of 2019 with the dance card filling out to 2021 and vehicle production having to scale up to meet the demand. Beck plans monthly launches at Mahia next year scaling up to fortnightly as soon as possible. The streamlined system will also be used at its proposed US site for monthly launches. Scheduled for orbit are ten miniature scientific research and educational satellites created by NASA and jointly assembled with Rocket Lab in a US$6.95 million contract, plus satellites for analytics and information companies GeoOptics and Spire Global. He says the only metric that really counts in the launch business is 100% mission success, that’s why it took so long to reschedule after technical difficulties postponed the “Its Business Time” launch in April and June. Since launching in Spring 2012, F.A.W.C! 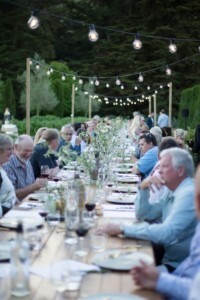 – Hawke’s Bay’s Food and Wine Classic – has become a staple of our events calendar. In six years, over twelve festivals, 734 events have been held across 50 locations – the perfect framework for an ‘epicurious’ vacation…or staycation. The Masonic’s Neil Barber, chair of Hawke’s Bay Tourism’s board, credits the festival with driving the region’s evolution into a sophisticated food and wine destination. 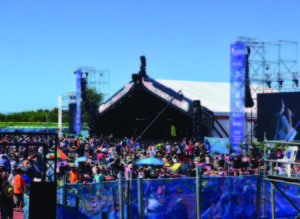 Indeed, the key reason for Hawke’s Bay Tourism creating the twice-yearly festival was to attract visitors. About 40% of summer and 25-30% of winter attendees are out-of-towners. The Summer Series, held over ten days in early November, rides on the Hawke’s Bay signature of balmy afternoons, quaffing a glass of something light and lovely in the Bay sunshine. The Winter Series, held over four consecutive weekends in June, evokes fire and candlelight, hearty meals, big reds – and attempts to inject a boost into what is often hospitality’s low season. Central to the F.A.W.C. concept is Hawke’s Bay’s world-class produce, and the wealth of artisan growers, vintners and chefs who work here. F.A.W.C! supports the ingenuity and collaboration of these craftspeople. It provides a great reason to create fun, unusual gastronomic experiences, as well as providing an umbrella under which to promote them. 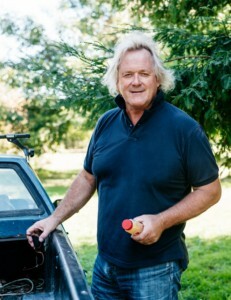 Barber believes that the good ideas might come from the hospitality industry but the ability to get diners to engage with events is bolstered by HB Tourism, “It’s a great PR exercise – gaining access to Hawke’s Bay Tourism’s marketing expertise gives exposure that as an individual operator it’s hard to achieve”. There is certainly appetite for the fare at hand, with 41,255 tickets sold – many events selling out on release day – generating approximately $2.5 million. With events as diverse as the Edible Fashion Awards, Te Kai o Neherā, cookery workshops, sit-down multicourse meals and food truck experiences, the net is cast wide to cater for every palate. The Hawke’s Bay Regional Sports Park was birthed amidst vocal opposition, including from BayBuzz (who have since repented). Some opponents preferred refurbishing Nelson Park; some worried about capital and ongoing ratepayer costs, including concern that the heavy expense would cannibalise funding for local sports fields and playgounds; others felt the site was too remote, especially for those dependent on public transportation. However, when a referendum was held on whether to sell Nelson Park and use some $11 million of the proceeds for a new sports park, 62% of those voting approved the strategy, driven by Mayor Lawrence Yule … and ground was broken for the new facility in 2008. Since then, the Sports Park has grown steadily, becoming a $40 million asset with an annual operating budget of $750,000 supported by anchor sponsors Hastings PAK’nSAVE, Higgins and Unison, a number of trusts, user fees (about 15%% of operating costs) and continuing funding from the Hastings Council (40%). The $6 million grandstand was added in 2011 and international-quality hockey turfs in 2014. A new aquatic facility, mainly for canoe polo, is the next addition, to be two-thirds funded from non-ratepayer sources. Utilisation of the Park has grown steadily as well – for example, use of the facilities has doubled in the past five years. Netball, League rugby and hockey – all regional in scope – account for well over half of the local user numbers, and the facility attracts a steady stream of national and international competitions. Out-of-town spectators/users consistently give the Park a 9+ rating (out of 10) satisfaction rating. “We should be proud of what we’ve got,” says Park CEO Jock Macintosh. It appears the only controversy at the Sports Park these days is over parking space, which Macintosh, at the helm since the beginning, admits is the most significant constraint on use presently… “Pretty chocka on a Saturday morning.” But he promises more car parks are on the way. The Park will also be home to Sir Graeme Avery’s new $25 million community health and sport centre, the EIT Institute of Sport and Health. “The Institute is an exciting new facility that will offer the community more opportunities to engage in programmes from vocational certificates through to degrees and postgraduate qualifications,” says Mark Oldershaw, deputy chief executive of EIT. Avery is committed to the centre as a vehicle for supporting healthy lifestyles through out the community, and particularly for at-risk youth. With funding for the centre in hand, construction has begun. Next on the list … a 50-metre Olympic pool and a learn-to-swim pool. “The space is pretty full at that point … We’re going to have something that is better than we would have dreamed of originally,” says Mackintosh. After half a decade of lobbying, the first Jetstar Q300 service between Napier and Auckland took to the air in December 2015 delivering the first regional competition for Air New Zealand and more affordable return flights. Qantas-owned Jetstar began offering 27 flights a week compared with Air New Zealand’s 66. The airfare wars began with $9 one-way tickets to Auckland settling at ‘first in first served’ one-way specials in Aug-Sept 2018 for $35 (plus $25 for checked baggage and fees). Despite tourism flourishing and many people commuting outside the region for business and domestic purposes, the single carrier market had meant high air travel costs were viewed as an obstacle to regional growth. According to Infometrics, 2016 was a “ground-breaking year” with competition, lower jet fuel prices and tourism growth resulting in domestic passenger movements up 9.5% on 2015 across Jetstar’s four new destinations, including Napier. During 2017 there were 652,426 passenger movements through Hawke’s Bay Airport, 176,000 more than 2015. 800,000 passengers are expected by 2020, and one million by 2025. In May 2017 Jetstar located nine new pilot jobs in Hawke’s Bay as it positioned for further growth. Chamber of Commerce CEO Wayne Walford says Jetstar changed the perception of travel in and out of Napier, growing the air traveller pie for both players rather than dividing it. He believes air travel will continue to grow, supported by development underway at Hawke’s Bay Airport, including more than 50% more terminal space, the new roading infrastructure, expanded business park with freight management and distribution centres and the proposed service centre, supermarket and petrol station. Walford says this will move us away from a provincial airport “to a more grown up travel centre”. The big question has always been when other destinations including Wellington may be added. The answer remains, options are under consideration. Meantime, however, Originair has jumped into the equation with direct flights to Palmy and New Plymouth. And Air New Zealand has added 12 more Auckland flights. Most locals – hundreds are on the volunteer register – are familiar with Cape Sanctuary, the 2,500 hectare fence-protected zone established by Andy and Liz Lowe and their collaborators at Cape Kidnappers in 2006 as a haven to nurture endangered species. But there’s an even bigger story developing. Hawke’s Bay is acting as a biodiversity model for the rest of the country when it comes to conservation and predator-proofing NZ. Two nationally significant projects are bedded in and bringing outstanding results: Poutiri Ao ō Tāne was launched in 2011 and is 8,800 hectares of northern HB with Boundary Stream at its centre; Cape to City came in 2015 and envisions a 26,000 hectare corridor connecting Cape Kidnappers with Havelock North and running as far as Waimarama. Both projects are test sites for a number of initiatives. 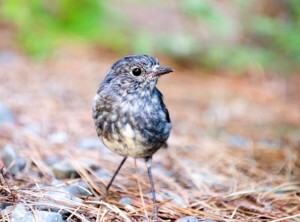 First, they prove collaboration across public agencies and private land owners is the way to go, with DOC, Landcare Research and Regional Council, farmers, local hapū, philanthropists – most significantly, seed money provided by the Aotearoa Foundation – and community all playing vital roles. Also, multi-pronged approaches are best, holistically tying together pest-eradication, habitat renewal and the reintroduction of lost species, as well as innovative new ways to carry out all of these, whether it’s using new tech or community help. Charles Daugherty, chair of the Hawke’s Bay Biodiversity Strategy believes Poutiri Ao ō Tāne and Cape to City have been highly influential in the formation of our region’s biodiversity strategy as well as national initiatives, including Predator Free 2050. “They are great local examples of the power of collaboration to achieving positive biodiversity outcomes,” he says. The two projects are case studies for initiatives across New Zealand, and the catalyst for innovative thinking around how to engage private landowners, teachers and schools, and the public in conservation. An important part of the projects is finding ways to get pest control low cost and user-friendly so private landowners will take a proactive role. The Cape to City block is predominantly private land, and with 70% of New Zealand land held in private ownership, what’s learnt here has national significance. Already 400 feral cats have been pulled out of Cape to City; that’s 8 cats to every 1 mustelid (stoats, etc). But also 250,000 plants have been put in the ground, and long-lost species like robins, not seen here for 50 years, are now re-established. In the near future, Poutiri Ao ō Tāne will extend down to the sea, possums will be eradicated off Mahia, more bird species will be returned to their traditional homes, and biodiversity will become integral, rather than an ‘add-on’, to Hawke’s Bay’s sense of identity. All adding up to some justified pride.